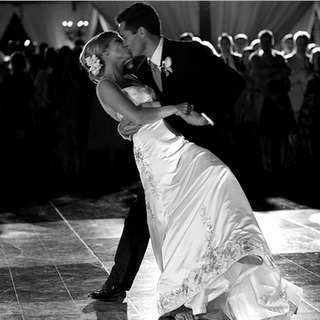 Rock the House Entertainment is dedicated to making your wedding day memorable based on your personal preferences. I am committed to understanding what your vision is for your upcoming big day and will work with you and your other vendors to ensure our services are truly catered to your individual style and unique personality. Whether you are looking for a classic, traditional, or unconventional wedding, I will help you create a wedding experience that you and your guests will remember for years to come! No "cheese" guarantee: What am I talking about? What's this cheese? Good question! If you're coming from another DJ website that promotes trivia, game shows, wedding wheel, etc on their site, that's considered "cheese" or "extra" add on services. These DJs may try talking you into these add ons to make more money off you - I don't. If you're looking for these, I do offer some of these options as additional services but I will never upsell you to buying into a service that you don't want at your wedding. Pricing: This is a BIG one! Are you coming from a DJ that charges a flat rate of $1400 regardless of what your event is? Then look no further - my pricing is affordable and is based on your specific needs and budget, so go on - look at the packages below - you may be amazed at how much you get for what you pay. On the other hand, if you're coming from a DJ site that advertises cheapest rate, that's not what I offer. Equipment: Continuing on what I said about pricing - I use top of the line quality lighting and sound equipment, something that I could not afford to do if I was the cheapest DJ around. 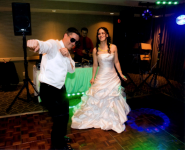 If sound quality and reliability is important for your wedding day, then I am a DJ you want to consider. I test and maintain my equipment to ensure its reliability for your event. Integrity: To me, this is the most important rule of any business out there today! My integrity to you and your guests is extremely important - therefore I offer you the tools you need to plan your event - your way. Everything from the music to the timeline is put into place by you and I will abide by your requests. I will not wait until the last minute to follow up with you regarding concerns I have and I keep in touch with you from the moment you book my services, to the moment you shake my hand at the end of your big day. Silver Package: My most popular and perfect for most wedding receptions. Gold Package: Create a unique, Elegant & memorable reception with our photo Booth! A/V Equipment $200 (Video Projector & Screen). *no travel fee for events taking place within 60 miles of Madison, WI. Bronze Package does NOT include travel. Use the Availability checker below to see if I am available for your upcoming wedding reception! 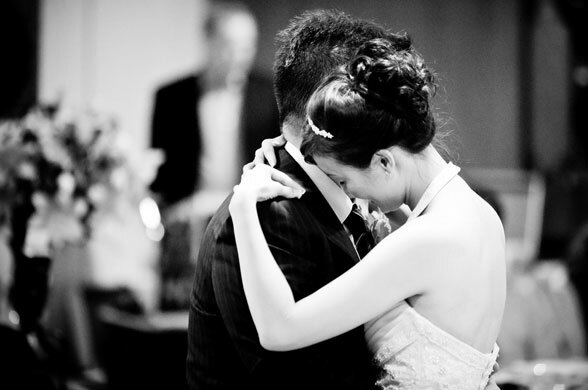 Together, we can make your wedding day special! Use the availability checker here to request your FREE, NO OBLIGATION quote if we're available. Please provide your events location, otherwise I cannot give you an accurate quote. .